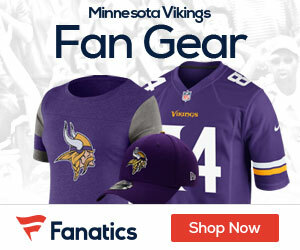 « Could Tarvaris Jackson Be Released if Favre Joins the Team? The Vikings waived three of their undrafted rookies today. Quarterback Sean Glennon, offensive lineman Bobby Lepori, and tight end Nick Walker were the players let go. The moves are not too surprising considering none of the buzz coming out of OTAs surrounded these three players. Perhaps more interesting is the timing of the moves. The Vikings did not need to trim down the roster yet, so one could assume that the team plans to make some moves and fill their roster spots by training camp. And no matter how big of an ego Ray Edwards thinks Brett Favre has, Favre will still only take up one roster spot, meaning the Vikings must have their eye on a couple of other available, or soon to be available, players as well. Subscribe to Vikings Gab via RSS Feed or E-mail and receive daily news updates from us! It probably means they are going to sign some draft picks. About time, am I right? Vikings Back in the Picture for Linebacker Anthony Barr? Sign up to receive our daily Vikings Gab newsletter, and keep up to date with all the latest Minnesota Vikings news. Celebrity Seats has all the best Minnesota Vikings Tickets, Minnesota Twins Tickets, Minnesota Timberwolves Tickets, and Minnesota Wild Tickets!